Freestyle fans SAVE THE DATE!!! 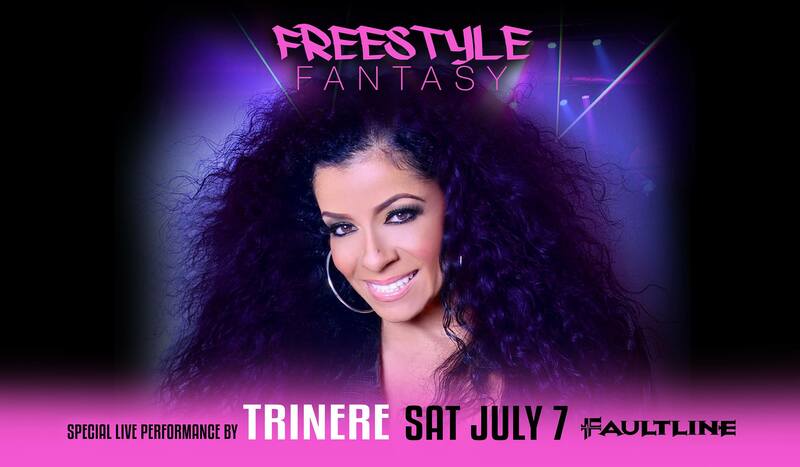 On Saturday July 07, 2018 join us for FreeStyle Fantasy at the Faultline (a night dedicated entirely to Freestyle music) along with a special LIVE PERFORMANCE by TRINERE! Come listen to Trinere as she belts her original hits you love and remember…”They’re Playing Our Song, I’ll Be All You Ever Need and many more! Live your FreeStyle Fantasy and move to the music of all your Freestyle favorites like Shannon, Lisa Lisa, Debbie Deb, Stevie B, The Cover Girls and Lil Suzy all night long! Early arrival highly encouraged. This event will sell out. The Legendary Faultline Bar in Silverlake CA.